Godin Guitars, established in 1972 by Robert Godin, is Canada’s, and North America’s, largest instrument manufacturer, producing a range of electric and acoustic guitars under a number of brands, including Godin. With a head office in Montreal they build their instruments in six factories in four different locations, three in Quebec and one in New Hampshire. Godin Guitars makes instruments under several different labels; Norman makes entry to mid-level acoustic guitars; Art & Lutherie makes entry level budget guitars; the Simon and Patrick brand make mid to high level steel-string acoustics; La Patrie manufactures classical guitars and Seagull is known for manufacturing solid wood entry to mid-range acoustic guitars. 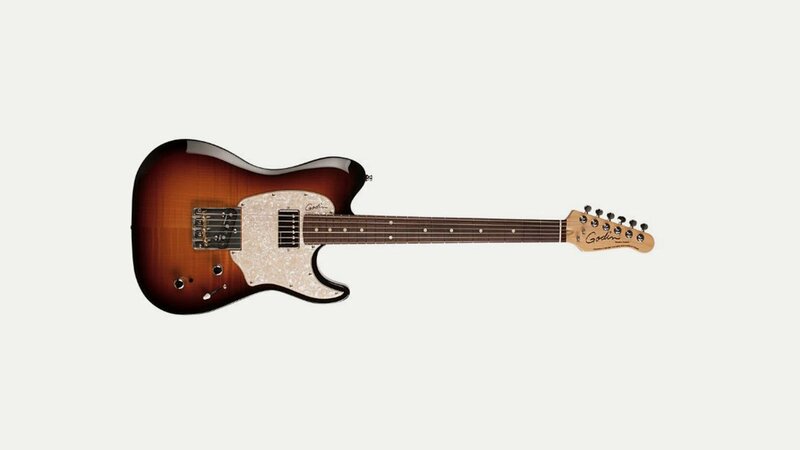 Guitars under the Godin brand are primarily mid range to top of the line electrics that are made of high quality wood from the northeastern part of North America. They have many models that feature synth pickups and some with piezo pickup equipped bridges. Godin are notable for their use of synthesizer pickups as a standard feature in their high end models, and many of their electric models use piezo-acoustic pickups integrated with the bridge assembly.